Cook bacon in small nonstick skillet on medium heat 8 to 10 min. or until done. Place on tortillas; top with cheese. Whisk egg whites and chiles until blended. Add to hot skillet; cook and stir 2 min. or until set. Spoon onto tortillas. 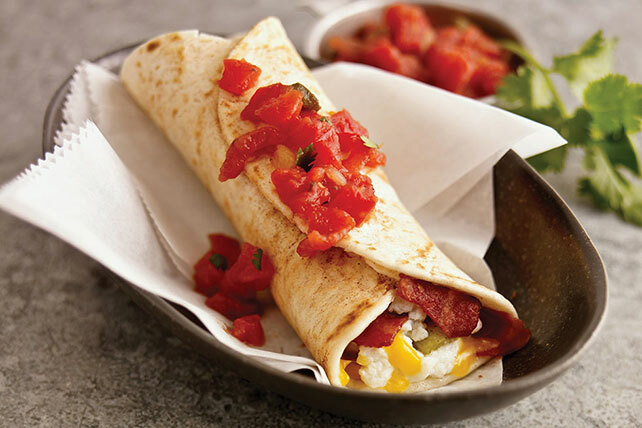 Fold in opposite sides of each tortilla; then roll up burrito style. Top with salsa.